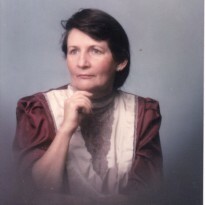 Reading and writing books is what I do. A conversation on the ways that Jesus is the way. This book made quite an impression on me. 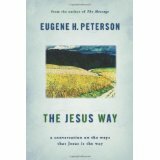 In the introduction the author points out that although the ways Jesus loves and saves us are personal, the ways we go about our daily living “in Jesus name” are conspicuously impersonal.Our culture is detached and compartmentalized and we are inclined to put Jesus in a box and only take him out at “the approptriate time.” Peterson points out that we prefer the image of Christ over the person of God because the image is customized for our requirements. It is a god with all the God taken out of it. I remember that God created us to be his images and we corrupted the image by doing things our way instead of God’s way. We make it worse by fashioning images out of materials that God created so we can concentrate on them instead of what God is really like. I’m not necessatly talking about the images that adorn churches. Some of the images we create are in our mind. I have heard some Christians say that when something bad happens to them, it is because God is punishing them for something they did. That’s a false image of God construed in their own minds. God punished himself in the person of Jesus Christ for the things we do that are wrong. He doesn’t punish us too – Christ’s death on the cross paid it all. We have to live with the consequences of the bad decisions we make sometimes, but it doesn’t make God happy. We need to get to know our Lord and Savior personally and Eugene Peterson’s book will help us down that road.